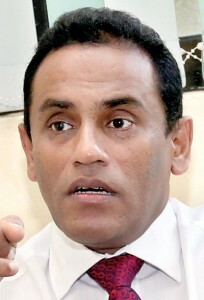 With Sri Lanka’s first heart transplant being successfully performed to international standards at the Kandy Teaching Hospital on July 7, sights are now being set to initiate lung transplants. 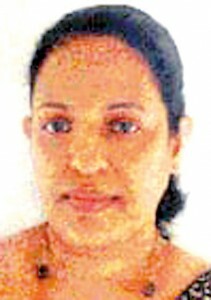 The heart-recipient, Pushpa Kumari, 37, from Dolahela in Anuradhapura is doing fine, having been weaned off the ventilator this week, while four more critically-ill patients with end-stage heart failure await donor hearts. In this transplantation, the first performed under Sri Lanka’s national Heart and Lung Transplantation Programme, the protocols and guidelines of the International Society for Heart and Lung Transplantation (ISHLT) were strictly followed. 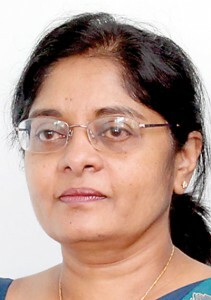 The core team which performed the heart transplantation, with the support of the Director of the Kandy Hospital, Dr. Saman Rathnayake, included Consultant Cardiothoracic Surgeons, Dr. Anil Abeywickrama, Dr. K. Gnanakanthan and Dr. Muditha Lansakara and Consultant Cardiac Anaesthetists Dr. Jagathi Perera, Dr. Aruni Jayasekera and Dr. Priyantha Dissanayake. Consultant Paediatric Cardiologist Dr. Sunethra Irugalbandara of the Sirimavo Bandaranaike Specialized Children’s Hospital, Peradeniya, and Consultant Cardiologist Dr. Roshan Paranamana of the Anuradhapura Teaching Hospital, managed the heart recipient, pre-and-post surgery. 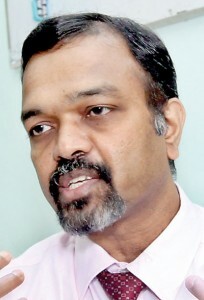 Both heart and lung transplants are an urgent necessity, reiterates Dr. Abeywickrama, adding that the hope is to transform the Kandy Hospital to a multi-organ transplant centre under the expertise of Consultant Transplant Surgeon Dr. P.K. 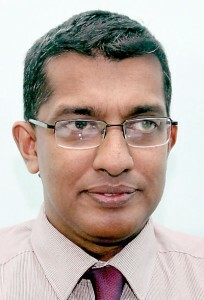 Harischandra. For end-stage heart and lung failure there is no option but transplants, the Sunday Times learns. The statistics are disturbing – the survival for 50% of those with end-stage heart and lung failure would be just six months. 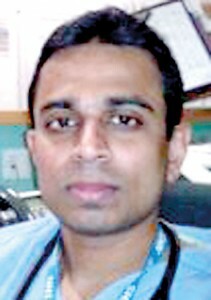 “With heart or lung transplants, a large number of people, as many as 80%, in end-stage failure of these two vital organs, will live for 10 years,” reiterates Dr. Abeywickrama. Patients go into end-stage heart failure, requiring heart transplantation, in the wake of untreated congenital heart disease, ischaemic cardiomyopathy and rheumatic heart disease. Ischaemic heart disease is on the rise in the country with an increasing incidence of non-communicable diseases such as diabetes and cardiovascular disease and risk factors such as hypertension (high blood pressure), obesity, high cholesterol and smoking. End-stage lung disease, meanwhile, can be caused by a variety of illnesses including chronic obstructive pulmonary disease (COPD) or emphysema and scarring of the lungs (pulmonary fibrosis). 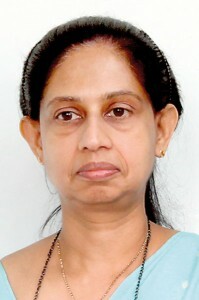 While urging people to donate the organs of kith and kin who, due to some tragic reason such as accidents, will never recover and thus save numerous other lives, Dr. Abeywickrama says that each and every potential recipient will be evaluated by a panel of experts from the Freeman Hospital in the United Kingdom (UK) after which will follow a donor-recipient matching process. There are 18 in end-stage heart failure of whom four are eligible for transplants. The others presented late and had developed severe pulmonary hypertension (a type of high blood pressure that affects the arteries in the lungs and the right side of the heart) which is an “absolute” contraindication (a specific situation in which the procedure may be harmful to the patient), for a heart transplant, he pointed out. The planning for heart and lung transplants in keeping with international standards entailed getting into place the surgical expertise, the infrastructure, the instruments and consumables and the legal aspects, it is learnt. 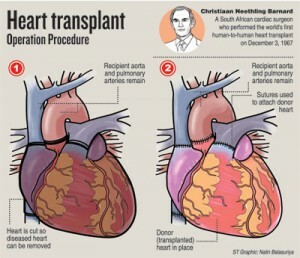 Asking why it has taken 50 years after the first heart transplant by Dr. Christiaan Barnard in Cape Town South Africa, for Sri Lanka to launch into heart transplantation, Dr. Abeywickrama says that this complex surgical procedure is technically and medically very demanding and needs much training. Even in the UK, only five centres perform heart transplants. 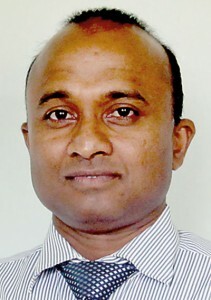 How it all began is recalled by him, who along with Consultant Paediatric Cardiac Surgeon, Dr. Kanchana Singappuli of the LRH and Consultant Cardiothoracic Surgeon Dr. Waruna Karunaratne of the Welisara Chest Hospital put the programme on the table in 2014. 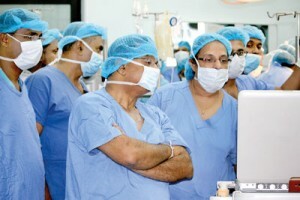 Due to their efforts, in November 2015, internationally-acclaimed British transplant expert and Consultant Cardiothoracic Surgeon Prof. Stephen C. Clark, the Director of Cardiopulmonary Transplantation at Freeman Hospital, Newcastle-upon-Tyne paid a visit to Sri Lanka to facilitate the formation of the Sri Lanka Society for Heart and Lung Transplantation under the aegis of the College of Surgeons of Sri Lanka. A major requirement is to keep to international standards and that is why very soon Sri Lanka would be seeking ISHLT recognition. While the ISHLT makes it clear that it is a society that includes basic science, the failing heart and advanced lung disease, it strongly and emphatically endorses the Declaration of Istanbul which seeks to abolish the illegal and immoral trade in donor organs which is supported in part by so called ‘transplant tourism’. The ISHLT is categorical that it values and supports every effort to improve the availability of donor organs by legitimate processes thereby providing community access to these life sustaining therapies.